Over the last few weeks, we have been getting suggestions from people to ask smgo.tv to Save The Clone Wars. 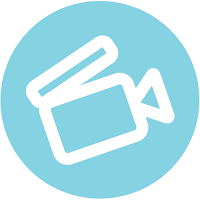 smgo.tv is a crowd sourcing website where fans can interact with the major studios and try to save their favorite shows. Once we learned about the site, we have been encouraging people to suggest The Clone Wars to them. Today, we were excited to see the message listed below on their Facebook page. 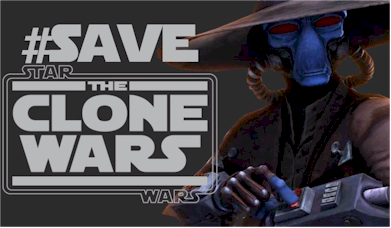 We just wanted to check back in and send a message to our friends at #SaveTheCloneWars. First, thank you very much for continuing to show your support for such an awesome animated series – we absolutely hear you and agree that your show deserves a spot on smgo.tv – and because you've been sending us hundreds of requests, we were planning to put it up to the voting phase. But before we do, we have to point out that we already have two Disney shows, and we have reached out to Disney to present our platform. We want to give them a chance to meet with us before we add more shows. In the future, our goal is to move a show based solely on fan demand, but right now, we've found its better to take things a little slow. We hope talks with Disney go well and that they can move Star Wars: The Clone Wars into the voting phase soon. Glad to finally hear a response from smgo.tv on the matter. Sent my own request maybe just over a week ago. I fully understand their situation and find solace in the fact that they too hope to see the show given more seasons. In the meantime let us all keep writing letters of support for the show to Disney and Lucasfilm staff. When The Clone Wars first came out I would try to watch it as often as possible but it soon faded into memory because school work became overwhelming. It has been about two weeks since I started watching it again and I am on Season 2 Episode 5. When I found out a couple of days ago that they canceled the show I was so saddened by this news that I was afraid to watch anymore episodes after Season 1. This post got me so excited that I just watched five episodes this morning, good thing school was closed for the day. STAR WARS the Clone Wars verfälscht die Star Wars geschicht dermaßen, dass es als solche Überhaupt nicht mehr zuerkennen ist. Ich begine einfach mal mit dem neusten Horror: Barriss Offee tritt der Dunkelen Seite Bei. Das ist etwas, was nicht geschen kann, laut der Bücher und der Comics. Sie ist eine ehrenwerte Jedi-Padewan die Im Krieg als Heilerin dient. Zweitens: Sidios mit zwei Schwertern??? Nie!!!! Er hat nur eines. Das er sich als Schüler von Darth Plagus Baute. Womit ich bei meinem dritten Punkt wäre. JEdi SChüler die Ihre Lichtschwerter in einem Raumschiff bauen??? Nie im Leben!!! Jeder JEdi baut sein Schwert in der Höle auf Ilum. Ein weiterer Punkt ist Darth Maul. Wie kann ein Sith Lord der einmal in Zwei Hälften geteilt wurde wieder lebendig werden? Allein die Tatsache das Maul auf Naboo war als er stab, wie soll er vom Planten entkommen sein??? Und nun zu Mandalore. Der Planet, der Immer unter Krieger regentschaft stand, soll nun von einer "HErzogin" regiert werden???? bei der Macht!! Was ist aus STAR WARS geworden?? ?